This year, the UFCW International announced its first ever Labor Day art contest, to celebrate working people with something made by working people! 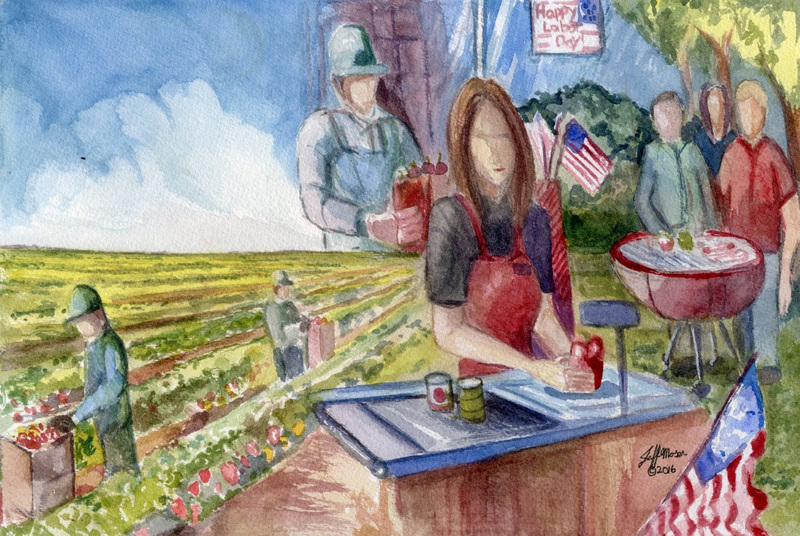 Hundreds of members submitted beautiful paintings, drawings, and graphic artwork, all depicting what Labor Day truly means to you. Josh Moser from UFCW Local 324 in Buena Park California! Also, congratulations to the runner ups: Nancy Bacon, Local 75 in Dayton, Ohio and Tiffany Siebuhr from Local 324 in Buena Park, California.